Ducklings and goslings at Abbrook. 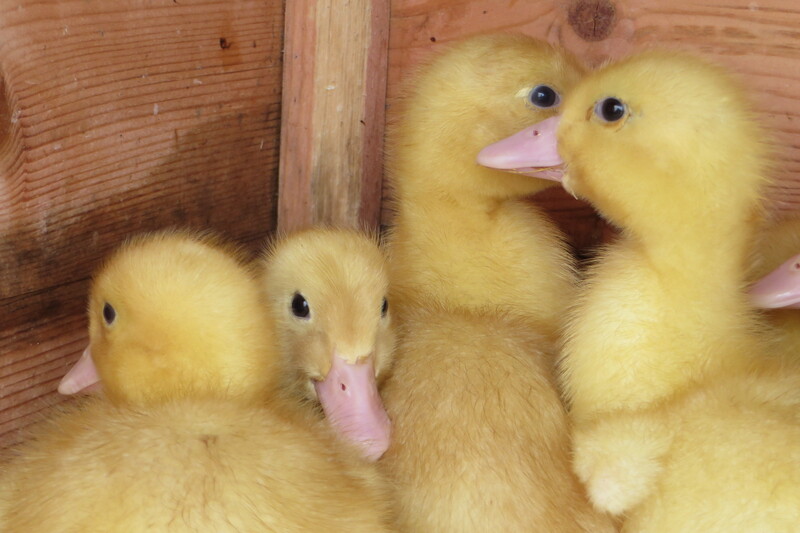 Tuesday saw the arrival of new animals at the farm, six Aylesbury ducklings and six Toulouse goslings. Both sets of young birds were very shy at first but both settled down within only a few hours. The several week old goslings are rather cumbersome birds, likely to huddle together when startled and, it has to be said, are rather ungainly. Because geese eat grass they’re cheaper to look after than many animals, though they will take until the autumn to fully grow. But (poor them) you can’t win popularity contests when your up against confident, fluffy, yellow, week old ducklings with attitude! These charming little birds do, literally and preducktably, take to water like, well, ducks to water. They will try to swim in the tiniest bowl of water and all six of them will jump into a bigger trough happily splashing about and generally having great fun. They’re fine entertainment value and were very popular when many year 5’s visited the farm on Wednesday. 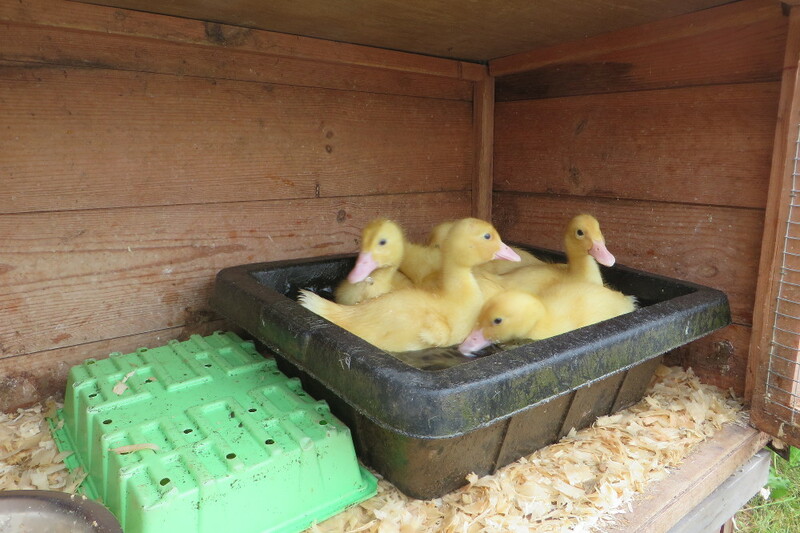 Our ducklings should grow very fast so, sadly, they won’t be with us for long, but while we have them they will be very well looked after and next week we’ll be putting them, and the goslings, into much bigger more spacious housing. 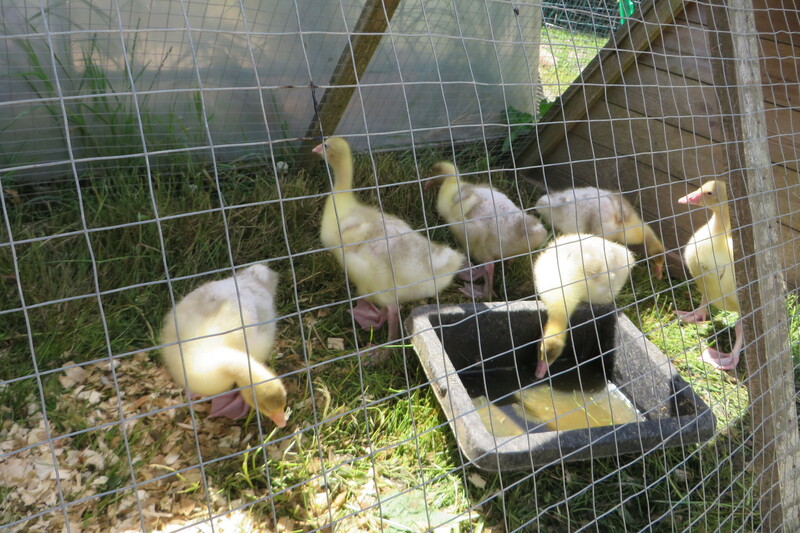 This entry was posted in ducks, geese and tagged DUCKS, geese by abbrookfarm. Bookmark the permalink.